Karl-Heinz Schnellinger (born 31 March 1939, in Düren) is a former German footballer who played as a defender. 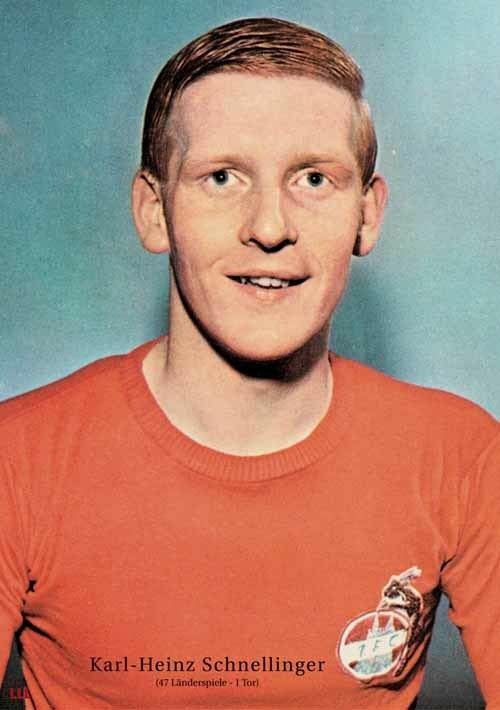 An athletic and hard-tackling player, with a strong physique, he was nicknamed the "Volkswagen" for his continuity of performance, both in quantity and in quality, and for his versatility; indeed, although he was usually deployed as a full-back, he was capable of playing anywhere along the back, and could also play as a centre-back, as a sweeper, or even as a defensive midfielder. In his prime he was usually considered one of the best and most complete leftbacks in the world in his era, rivaled only by Giacinto Facchetti, Nilton Santos and Silvio Marzolini. He won the German championship with 1. FC Köln in 1962, and was awarded the (German Footballer of the Year), performed superb in the World Cup and was subsequently named in the World Cup Dream-Team 11. His debut in the Serie A came in 1963, when Schnellinger left 1. 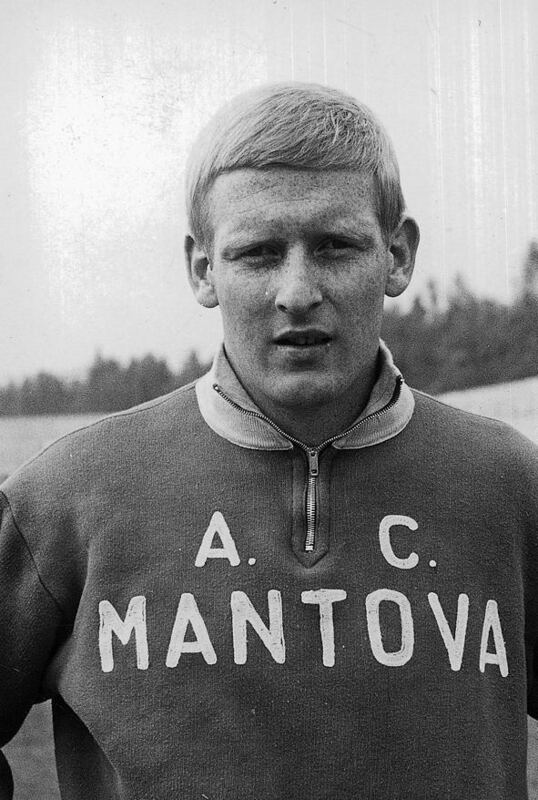 FC Köln for A.C. Mantova, in a match against A.C. Milan which ended in a surprising 4–1 victory for A.C. Mantova. 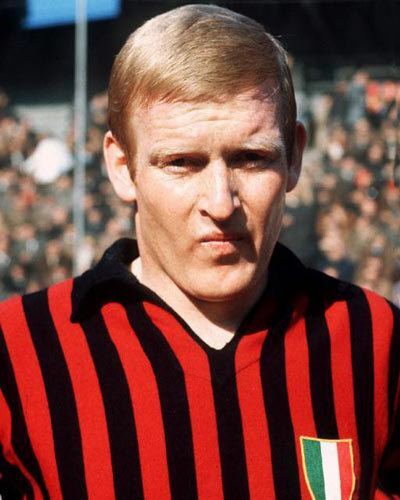 However, he played there only for one season, and was signed by A.S. Roma in 1964 when they won the Coppa Italia, and finally by A.C. Milan in 1965. Schnellinger was bought up together with Roma teammate Angelillo and Sormani. He played nine seasons with the Rossoneri, obtaining several successes both at the national and European level. He was one of the first successful German footballers abroad. 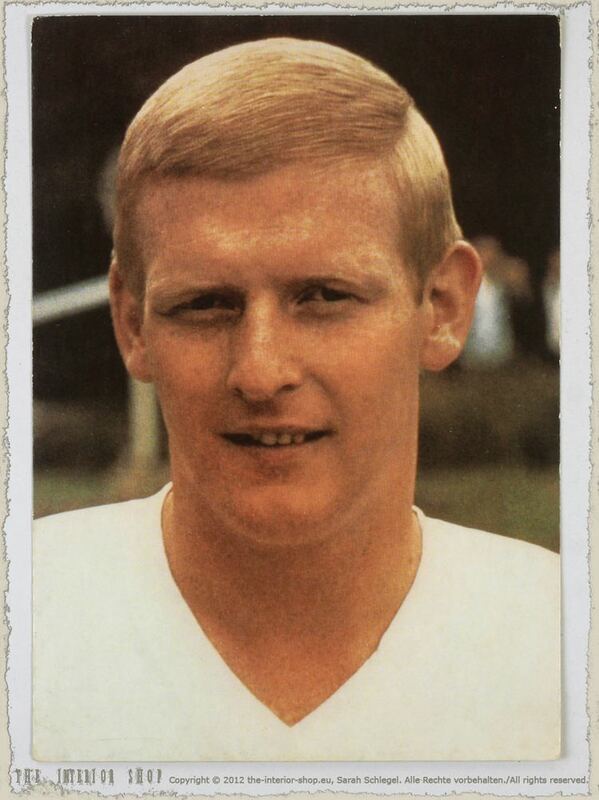 He participated in his first 1958 World Cup in Sweden at the young age of 19, and went on to become one of the few players to play in 4 World Cups (1958, 1962, 1966, 1970). He was renowned for his physical power, pace, and his winning mentality. His only international goal came in the last minute to draw 1–1 in the thrilling semi-final of the 1970 World Cup against Italy which later became known as the "Game of the Century" (leading to the famous German radio comment "Ausgerechnet Schnellinger!" - roughly: "Of all the players, it's Schnellinger" - referring to him being one of the two players of the German squad to be playing in the Italian Serie A, the other one being Helmut Haller). Italy eventually won 4–3 after extra time. He won his last cap in 1971. 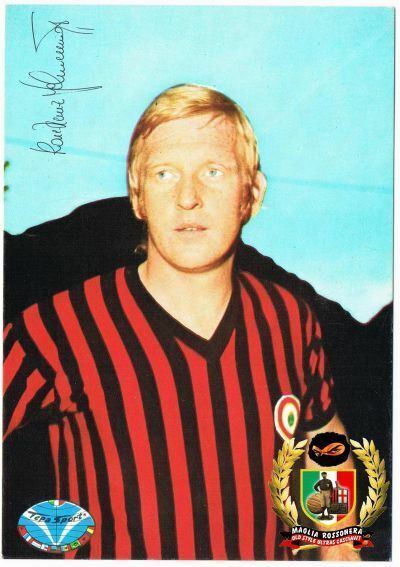 Schnellinger left A.C. Milan in 1974, and retired after a season back in his native Germany for Tennis Borussia Berlin. Today Schnellinger still lives in Milan's suburb of Segrate and works as a businessman.